Roman Marble and Granite brings true European stone craftsmanship to Southeastern Michigan. We specialize in granite, marble, travertine and custom designs. Come visit our Showroom. We're open 8:30AM-4:30PM Monday-Friday. 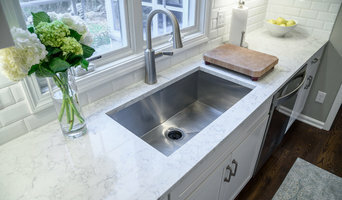 Black Mont Stone offers custom made solid surface countertops at an affordable price! Each solid surface countertop is hand made to fit your exact needs! With many colors and styles to choose from, you have the ultimate freedom of expression! Our prices are very competitive and we offer different types of stones to fit your budget. We offer free countertop consultation and estimates. We have over 700 different types of granite, marble, and quartz in stock to choose from. 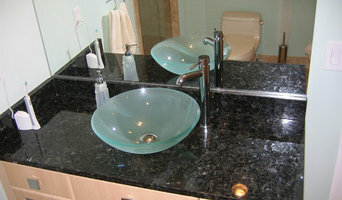 We also have many varieties of sinks to accommodate your taste. Do not be fooled by other cheap companies that offer poor craftsmanship and poor quality material. Granite Planet Inc. has been serving the Michigan community since the company was founded. We specialize in custom made kitchen and bath granite and marble counter tops, fireplaces and more and our staff offers quality and reliable service in the fabrication and installation of these products you can count on. In addition, our friendly and professional staff is here to answer any questions you may have about our company or our services.Placeholder Image Whether you need a small vanity counter top or your whole living space dressed up with the beauty of nature , we have what you need at prices you can afford. At Granite Planet Inc. our goal is to provide you with courteous, expedient, professional service of the highest caliber. Enriching lifestyles and influencing great design with tile and natural stone for 75 years. 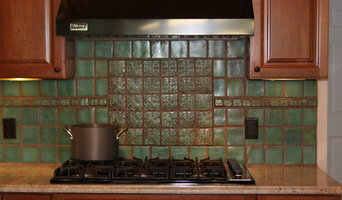 Virginia Tile Company was established in 1928 when the Stephenson Family moved from Virginia to seize the many opportunities offered by the growth of the automobile industry in Detroit. Art Home Design Granite focuses on residential - business granite and marble counter tops , we also work with Silestone and Quartz , We have been serving the community for over 15 years , email us for a free estimate . We will gladly answer any questions .